Meet the new Met Lupo enduro helmet (click to enlarge). The new Met Lupo (wolf in Italian) is claimed to offer a balance between aggressive styling, breathability and comfort. The helmet gives you protection to the rear and sides of the head. The HES construction is designed to spread the force of an impact out over the full shell and an in-mold fusion provides the optimal ratio of impact resistance and weight. The visor is adjustable up to 15 degrees for use with glasses and goggles. It also has integrated ventilation for optimal air flow. The Safe-T Advanced retention system is 25 percent lighter and has increased comfort at the contact points, and it has a micro-adjust dial which controls the fitting of the 360 degrees retention ring. The helmet straps are made of kevlar and are lighter, stronger and more breathable than a standard helmet strap. The new cam divider is easy to adjust and holds the strap securely in place. The front pad is made of a hypo-allergenic, anti-bacterial biomedical gel which keeps the head cooler, is more durable and resists order. The internal padding is made of Coolmax and is strategically placed to provide the better comfort and sweat absorption. LED strip rear lights have been added to the Safe-T Advanced retention system (click to enlarge). 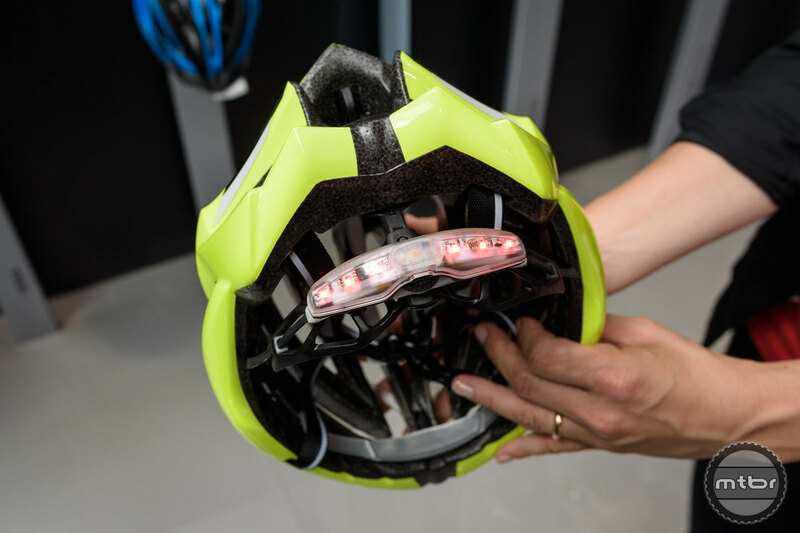 Reflective stickers are put at the rear of the helmet and optionally you can snugly fit Safe-T USB LED lights onto the dial of the retention system, featuring 6 LEDs in flashing or constant modes. Weights start at 270 grams and the helmet comes in sizes M (54-58 cm) and L (59-62 cm). 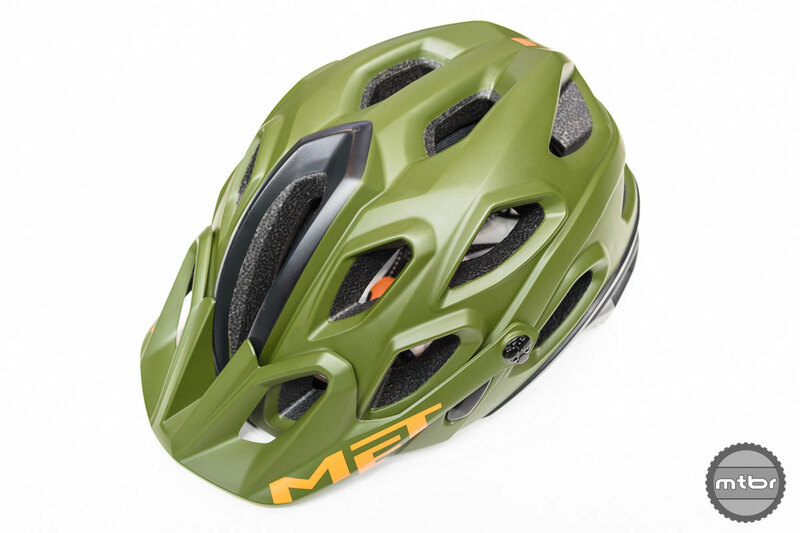 For more information visit www.met-helmets.com. LED strip rear lights added to the Safe-T Advanced retention system.